What Is a Conductivity Meter? A conductivity meter measures the amount of electrical current or conductance in a solution. Conductivity is useful in determining the overall health of a natural water body. It is also a way to measure changes in wastewater procedures at water treatment plants. Conductivity meters are common in any water treatment or monitoring situation, as well as in environmental laboratories. According the Environmental Protection Agency, a good conductivity meter costs about $250. The meter is equipped with a probe, usually handheld, for field or on-site measurements. After the probe is placed in the liquid to be measured, the meter applies voltage between two electrodes inside the probe. Electrical resistance from the solution causes a drop in voltage, which is read by the meter. The meter converts this reading to milli- or micromhos or milli- or microSiemens per centimeter. This value indicates the total dissolved solids. Total dissolved solids is the amount of solids that can pass through a glass-fiber filter. Conductivity is the electrical current in a solution, but that value depends on the liquid's ionic strength. It also relies on which ions are present, in what concentration and in what form, such as what state of oxidation or mobility the ions are in. Ions carry a negative or positive electrical charge: anions are negative and cations are positive. In natural water bodies, the ions that contribute to high conductivity result from dissolved minerals and salts. The reading of a conductivity meter is usually without a temperature correlation. Since ionic strength, and therefore conductance, is temperature-dependent, the reading may be inaccurate. 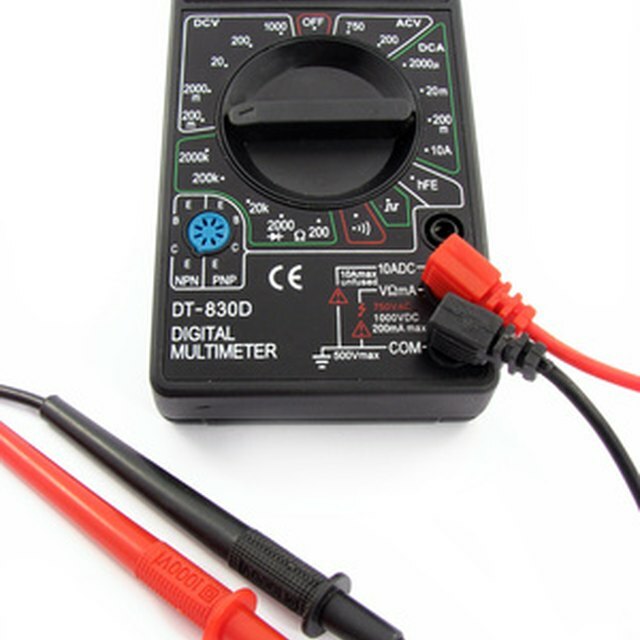 Thus, many conductivity meters have a specific conductance measurement as well. When in the specific conductance mode, the meter reads the conductivity of the solution at 25 degrees Celsius, not at the actual temperature. This results in a more standardized reading. Salinity is the amount of dissolved salts in a solution. Conductivity meters equipped with a salinity option internally convert the conductivity reading to one of salinity. Fresh water bodies should have a much lower salinity concentration than ocean water, which is estimated between 20 and 30 parts per trillion, according to Washington State’s Department of Ecology. Total dissolved solids can be determined by multiplying the conductivity measured in microSeimens by a factor of 0.67. Calibration leads to a more accurate reading. To calibrate a meter, follow the instructions for that meter; in general, the steps are easy and standardized. The meter usually has a menu item that allows you to enter the calibration mode or a setting on the side that you can adjust with a small screwdriver or tool. Place the probe in a solution with a known conductivity value and temperature and set the meter to that conductivity. Sometimes several standards are required. The Environmental Protection Agency’s EPA 120.1 outlines a standardized analytical procedure for calibrating and measuring using a conductivity meter. Becca Bartleson is a freelance writer, web designer, video producer and radio journalist living in Portland, Oregon. She has an undergraduate degree in environmental chemistry and loves to use this expertise to write about chemical properties and other science related articles. Bartleson, Becca. "What Is a Conductivity Meter?" Sciencing, https://sciencing.com/conductivity-meter-5134852.html. 13 March 2018. What Is the Standard Method for Calibration of a Conductivity Meter?